Long-term, happy tenants, who treat your property as their home, can make your investment both easier to manage and more profitable. It’s important to buy investment properties that attract them, but also to keep good tenants happy. To attract good tenants, consider buying new housing stock with good access to infrastructure such as transport, schools and shops. This convenience means you will have a wider pool of prospective tenants to choose from. They are also more likely to stay if they are easily able to organise their lives from your property. If you buy a family sized home near good schools, for instance, your tenants are more likely to stay for the duration of their kid’s education. A new house means things are less likely to go wrong and that means less maintenance requests by your tenants. A tenant will also treat a new property better than one that is already falling into a state of disrepair. Of course no house is completely maintenance free. That’s why it’s vital to use a good property manager, who fixes things like leaking taps quickly. If it’s a bigger job, then it’s crucial they communicate clearly and promptly with both you and the tenant. If you have a good tenant, it’s important to show that they’re appreciated. A good way is to keep rental increases under the market rate. 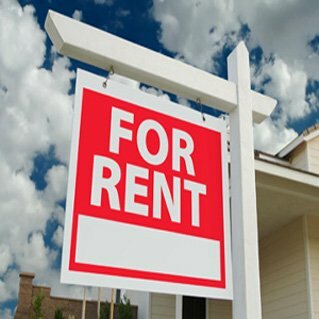 While forgoing ten dollars per week in rent might cost you $500 a year, the rigmarole of reletting the property if a good tenant baulks at an increase and possibly having it vacant for a period can cost you much more. Sometimes it’s not just about the money, too. If regular property inspections show how well they’re caring for the place, why not send them a note of thanks. Research has also shown that tenants are less likely to change if you let them keep pets. Pets make people feel more at home. People also worry about the disruption to their pets caused by moving. While many landlords are hesitant, remember that your tenants usually bring their own furniture to the house. You can also allow pets on the condition that the tenants get the premises commercially cleaned when they vacate. Pfeiffer Property specialises in the kind of property tenants are likely to find attractive over the long-term. That’s because our investment opportunities are oriented towards gains in the medium to long-term. We also have a network of trusted property managers around Australia, who are good at finding the right tenant and looking after them. Come and talk to us about buying your own quality investment property today.